Renko Bars can be viewed as merely a different way to reflect price on a chart; in my opinion, I feel they paint the clearest picture of price available. They help to filter noise and may help, keep us out of the chop. For the hard-asset enthusiast, the gold-silver ratio is part of common parlance, but for the average investor, this arcane metric is anything but well-known. This is unfortunate because there's great profit potential using a number of well-established strategies that rely on this ratio. In a nutshell, the gold-silver ratio represents the number of silver ounces it takes to buy a single ounce of gold. It sounds simple, but this ratio is more useful than you might think. Read on to find out how you can benefit from this ratio. When gold trades at $500 per ounce and silver at $5, traders refer to a gold-silver ratio of 100. Today the ratio floats, as gold and silver are valued daily by market forces, but this wasn't always the case. The ratio has been permanently set at different times in history - and in different places - by governments seeking monetary stability. 323 B.C. – The ratio stood at 12.5 upon the death of Alexander the Great. These days, gold and silver trade more or less in sync, but there are periods when the ratio drops or rises to levels that could be considered statistically "extreme." These "extreme" levels create trading opportunities. First off, trading the gold-silver ratio is an activity primarily undertaken by hard-asset enthusiasts like "gold bugs". Why? Because the trade is predicated on accumulating greater quantities of the metal and not on increasing dollar-value profits. Sound confusing? Let's look at an example. When a trader possesses one ounce of gold, and the ratio rises to an unprecedented 100, the trader would then sell his or her single gold ounce for 100 ounces of silver. When the ratio then contracted to an opposite historical "extreme" of, say, 50, the trader would then sell his or her 100 ounces for two ounces of gold. In this manner, the trader would continue to accumulate greater and greater quantities of metal, seeking "extreme" ratio numbers from which to trade and maximize his or her holdings. Note that no dollar value is considered when making the trade. The relative value of the metal is considered unimportant. For those worried about devaluation, deflation, currency replacement - and even war - the strategy makes sense. Precious metals have a proven record of maintaining their value in the face of any contingency that might threaten the worth of a nation's fiat currency. The obvious difficulty with the trade is correctly identifying those "extreme" relative valuations between the metals. If the ratio hits 100 and you sell your gold for silver, then the ratio continues to expand, hovering for the next five years between 120 and 150, you're stuck. A new trading precedent has apparently been set, and to trade back into gold during that period would mean a contraction in your metal holdings. What is there to do in that case? One could always continue to add to one's silver holdings and wait for a contraction in the ratio, but nothing is certain. This is the essential risk to those trading the ratio. It also points out the need to successfully monitor ratio changes over the short and medium term in order to catch the more likely "extremes" as they emerge. There's an entire world of investing permutations available to the gold-silver ratio trader. What's most important is to know one's own trading personality and risk profile. For the hard-asset investor concerned with the ongoing value of his or her nation's fiat currency, the gold-silver ratio trade offers the security of knowing, at the very least, that he or she always possesses the metal. 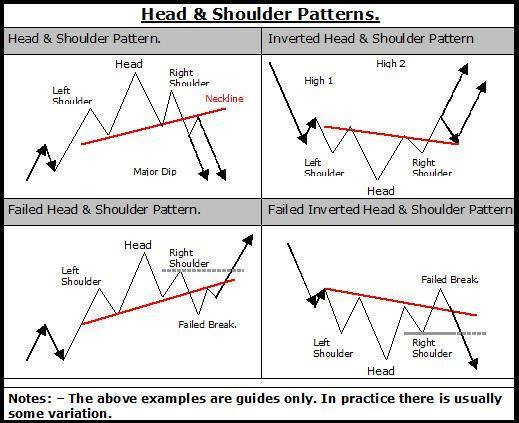 Trading head and shoulders is possibly one of the easiest Forex trading strategies available. In this video we discuss the structure of head and shoulders while also providing in-depth instructions on how to set your profit target and where to insert your stop loss. We also look at its counterpart - the inverse head and shoulders.